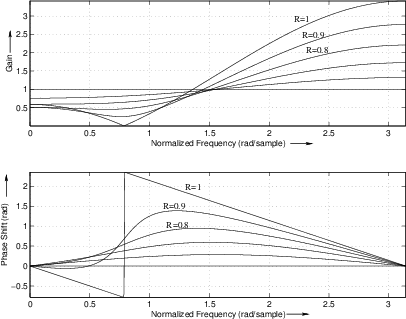 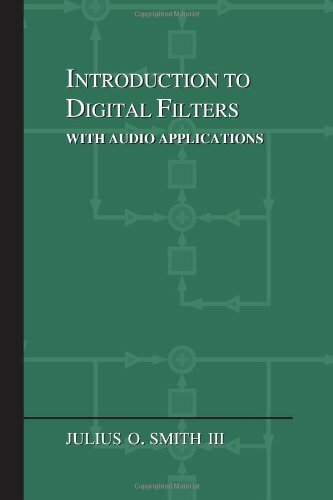 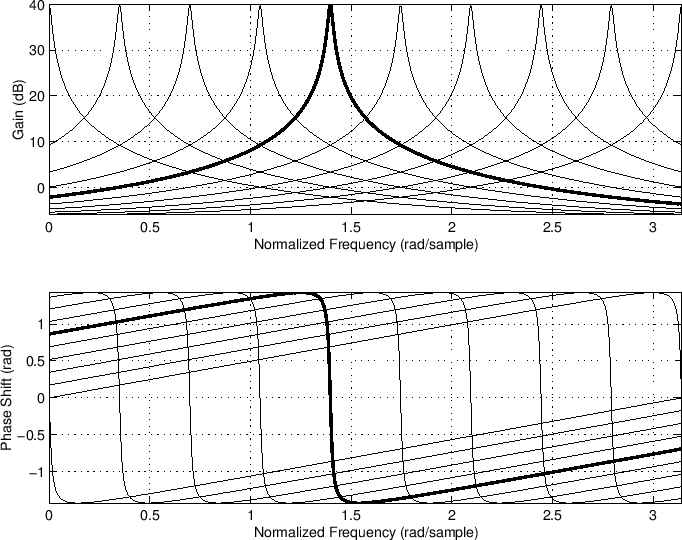 This appendix is devoted to small but useful digital filters that are commonly used in audio applications. 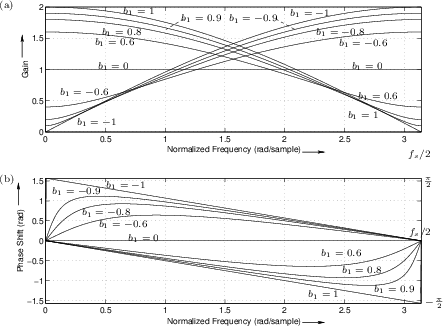 Analytical tools from the main chapters are used to analyze these ``audio gems''. 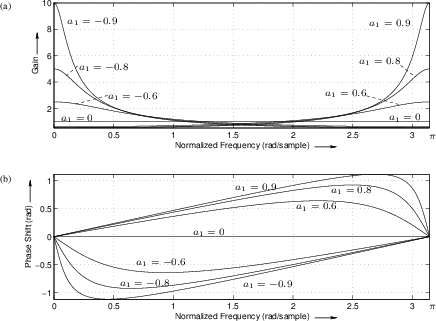 where is approximately the desired gain at the boost (or cut), and is the desired bandwidth. 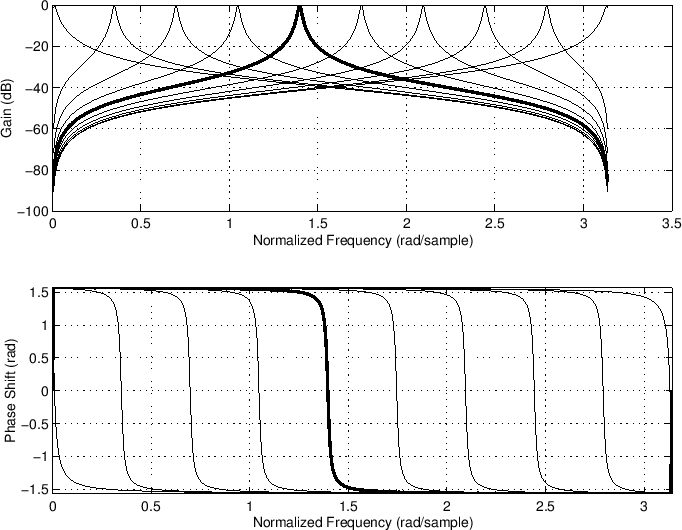 When , a boost is obtained at frequency . 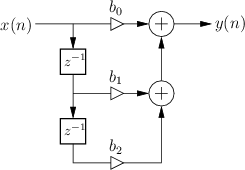 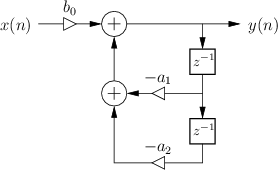 For , a cut filter is obtained at that frequency. 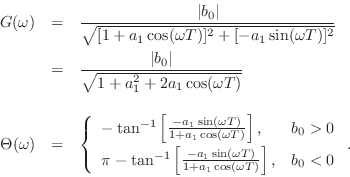 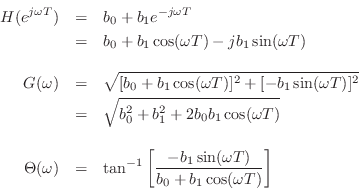 In particular, when , there are infinitely deep notches at , and when , the transfer function reduces to (no boost or cut). 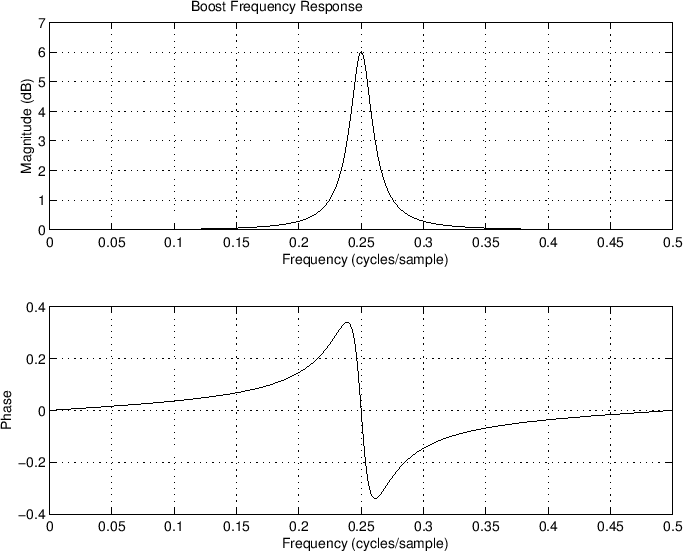 The parameter controls the width of the boost or cut. 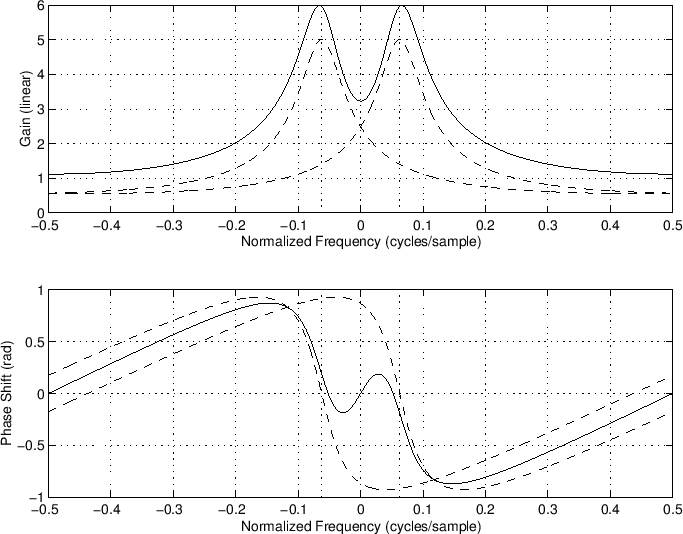 Again, the bilinear transform can be used to convert the analog peaking equalizer section to digital form. 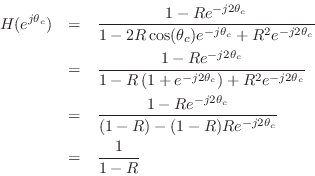 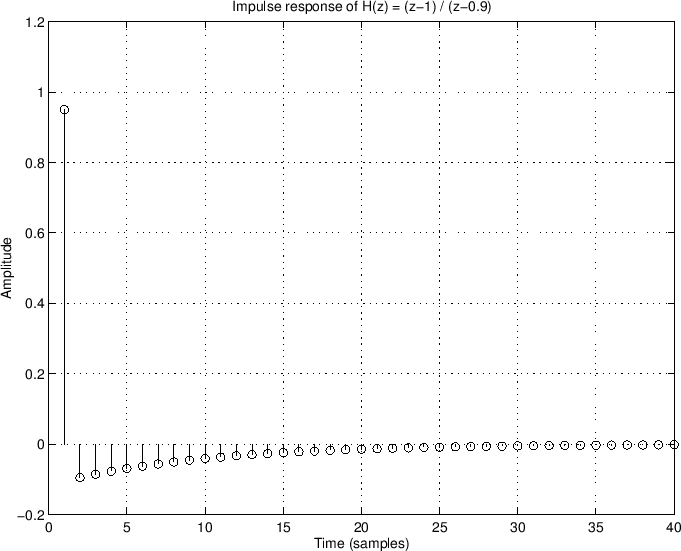 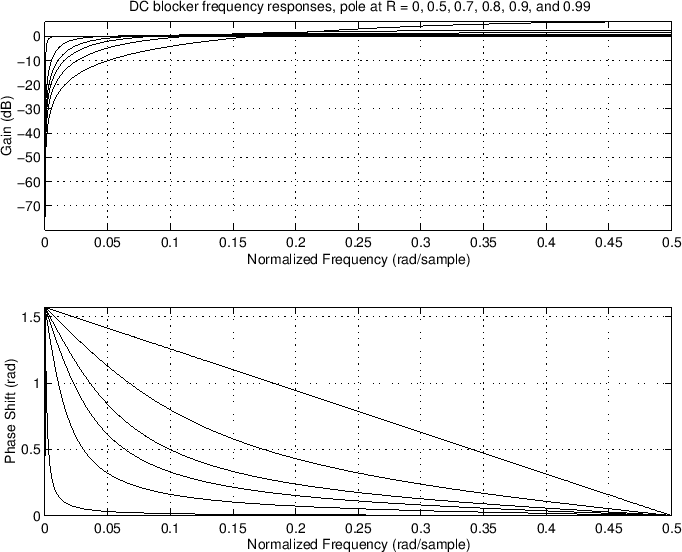 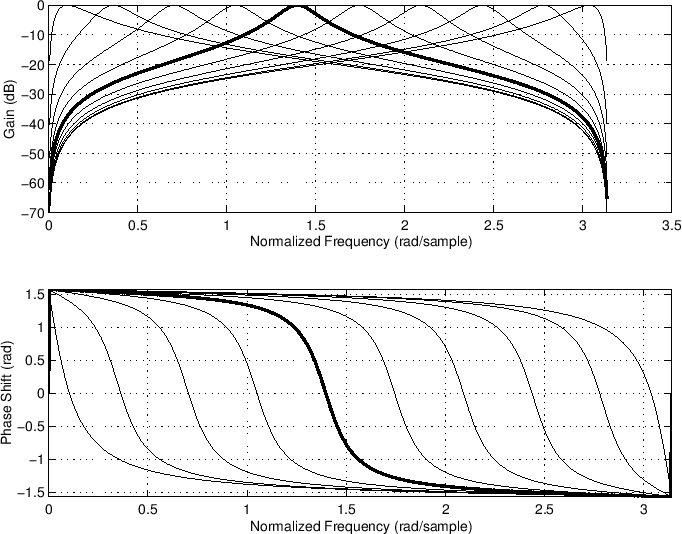 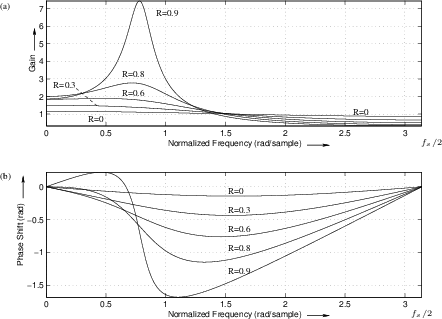 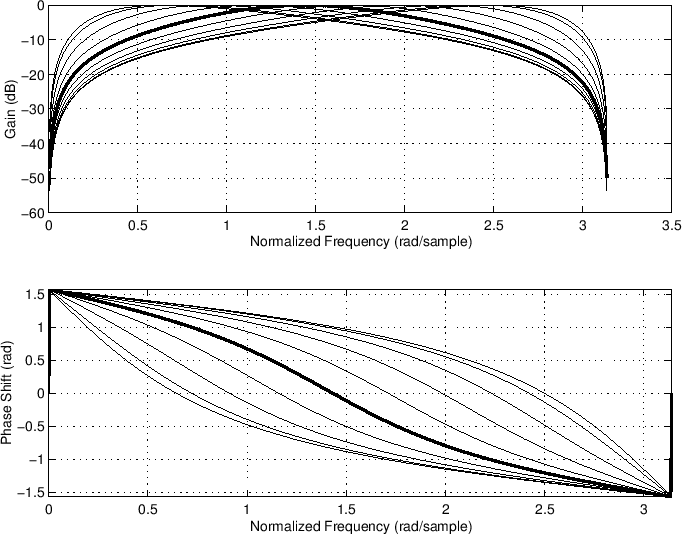 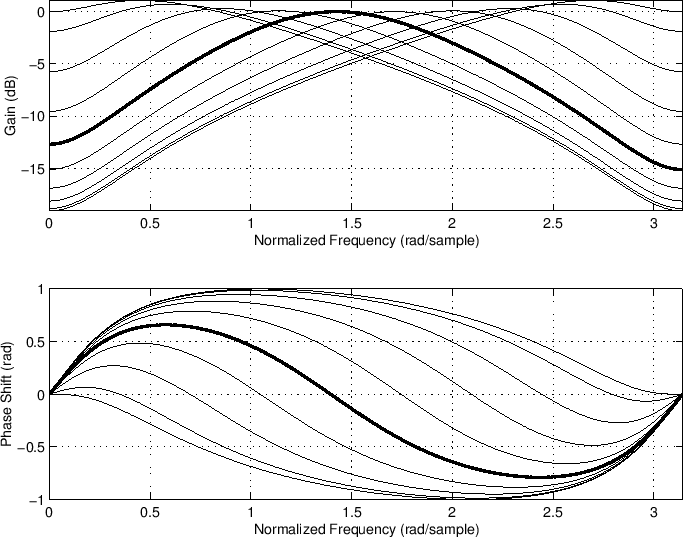 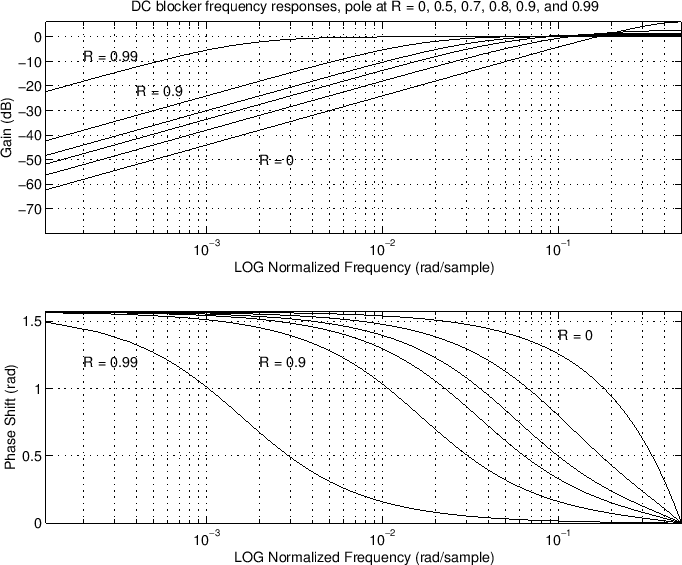 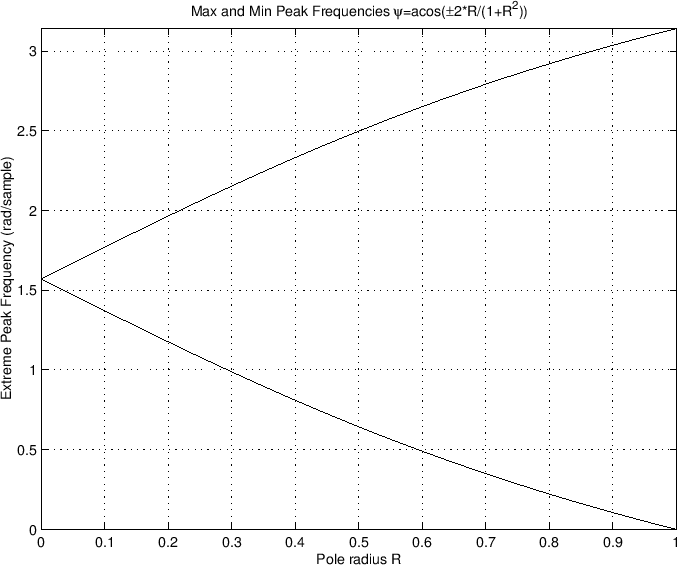 The frequency-response utility myfreqz, listed in Fig.7.1, can be substituted for freqz. 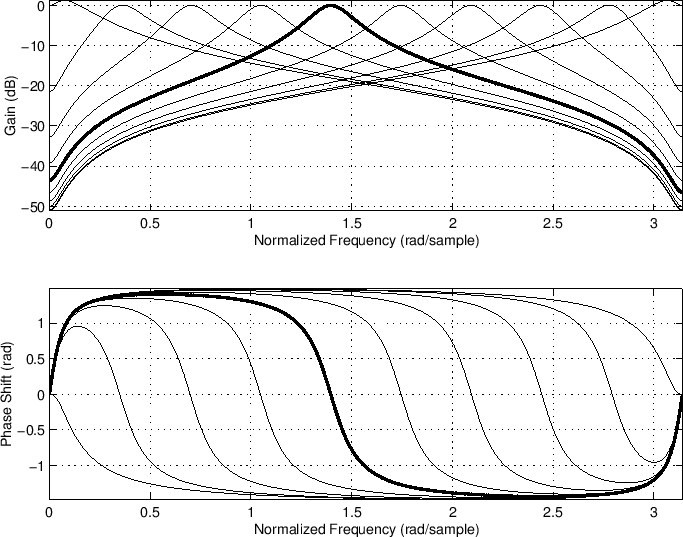 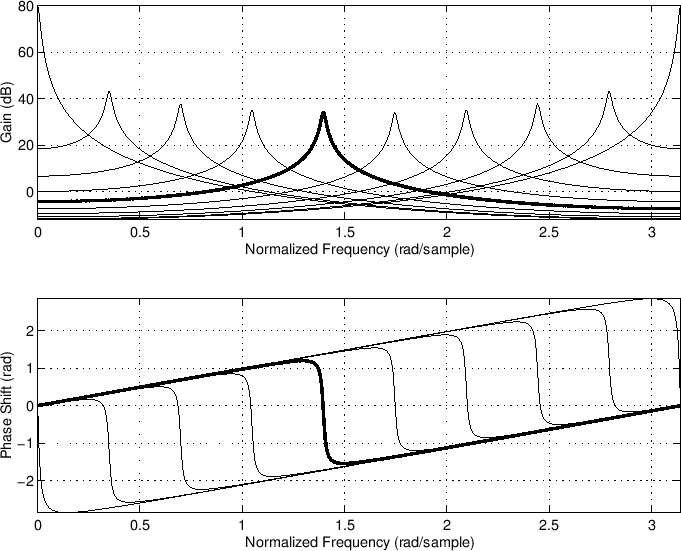 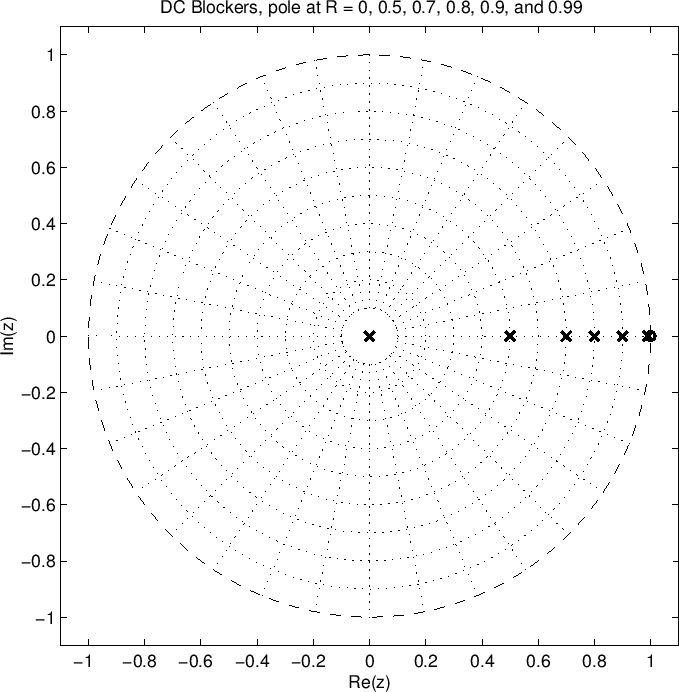 Figure B.16: Frequency response of a second-order peaking equalizer section tuned to give a 6 dB peak of width at center frequency . 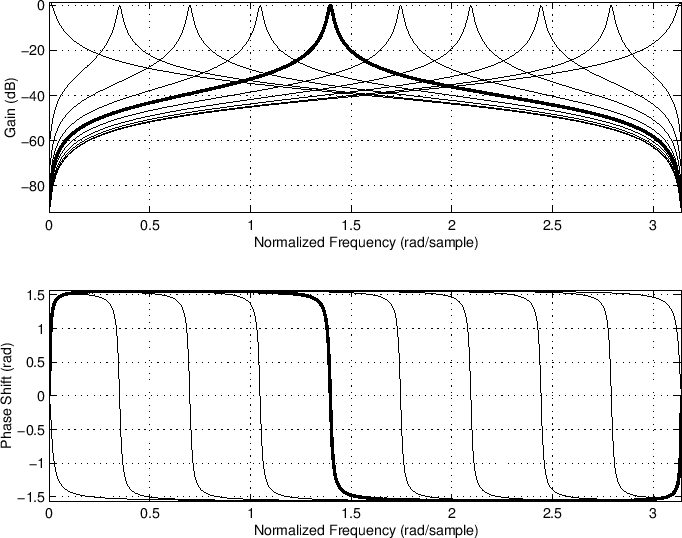 A Faust implementation of the peaking equalizer is available as the function peak_eq in filter.lib distributed with Faust (Appendix K) starting with version 0.9.9.4k-par.